One of our favorite fish to target! If it's solitude you're after, look no further than our guided fly fishing trips for trout. 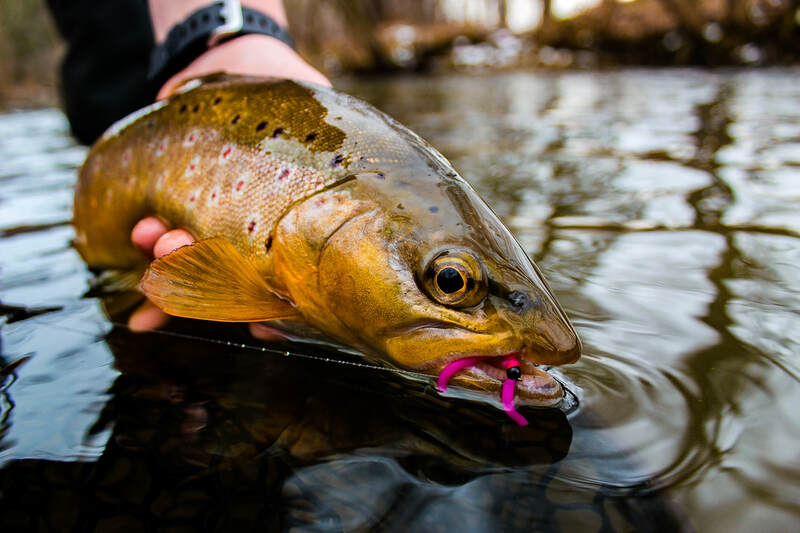 The streams of Western and Central Pennsylvania are teeming with brown, rainbow, and brook trout. From historic spring creeks with wild browns to mountain runs full of native brookies, the diversity of water styles and locations means there's something for everyone! These trips are available 12 months a year and are extremely flexible in terms of where we can fish across the state! 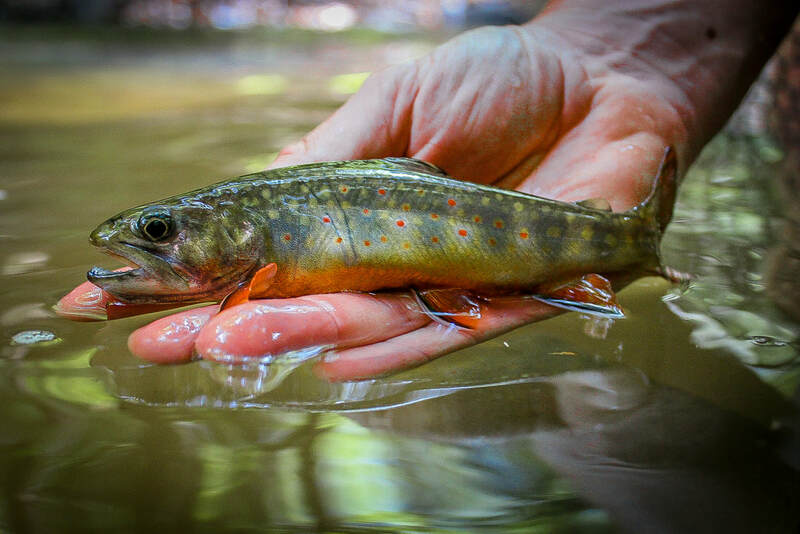 ​The streams in Pennsylvania and Ohio flowing into Lake Erie hold one of the most spectacular fish in North America. 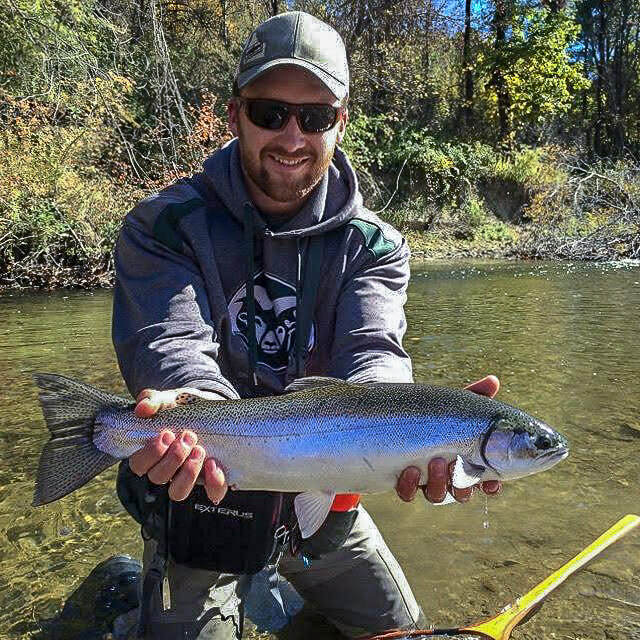 Fall rains and spring snow-melt swell the waters and bring bright chrome hordes of steelhead into the rivers and streams. While they are a little more difficult to catch than trout, it's absolutely worth the extra effort for those up for the challenge! It's hard to describe the experience of hooking a fresh chrome steelhead, but it's something you won't forget once it happens. From roughly October-April these elite sporting fish can be caught on Wildwood Outfitters full day guide trips! Have a specific waterway in mind? What about a certain species of fish? Let's talk about it!